A 33-year-old man will spend more than three years in federal prison after he admitted to shining a laser into the cockpit of two news helicopters. Prosecutors said in a news release that Damien Conley pleaded guilty Tuesday to aiming a laser pointer at an aircraft and was sentenced to 37 months in prison. Authorities say two news helicopters in the Upstate were flying over an interstate wreck in November 2013 when a laser was aimed into their cockpits. The pilots were able to maintain control. 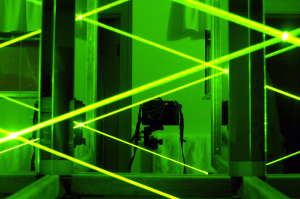 Prosecutors say lasers can blind pilots or disorient them. The specific federal law making it a crime to point a laser into an aircraft went into effect in 2013. It carries a maximum punishment of five years in prison.